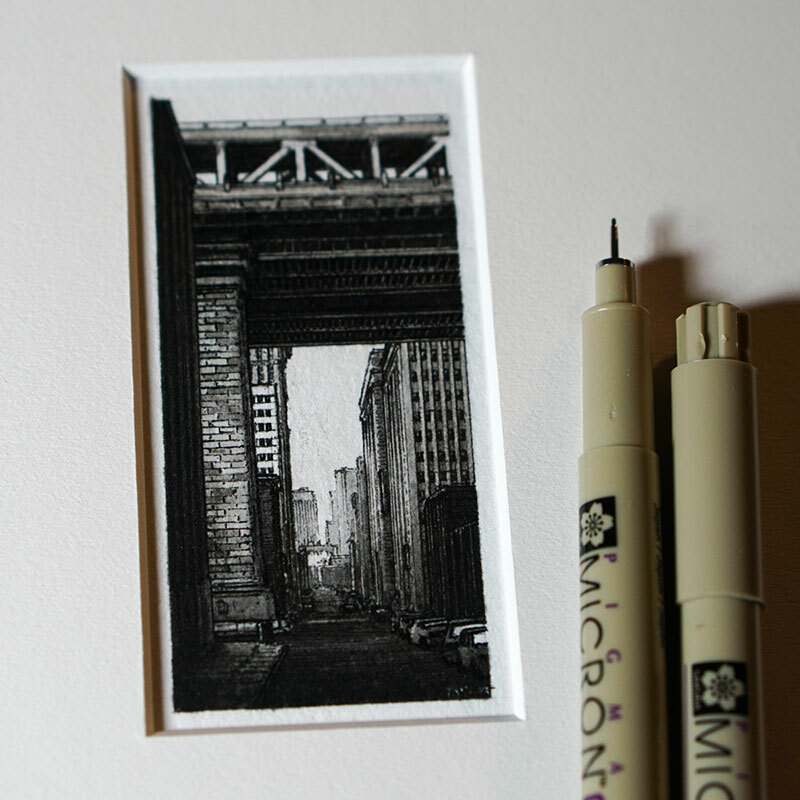 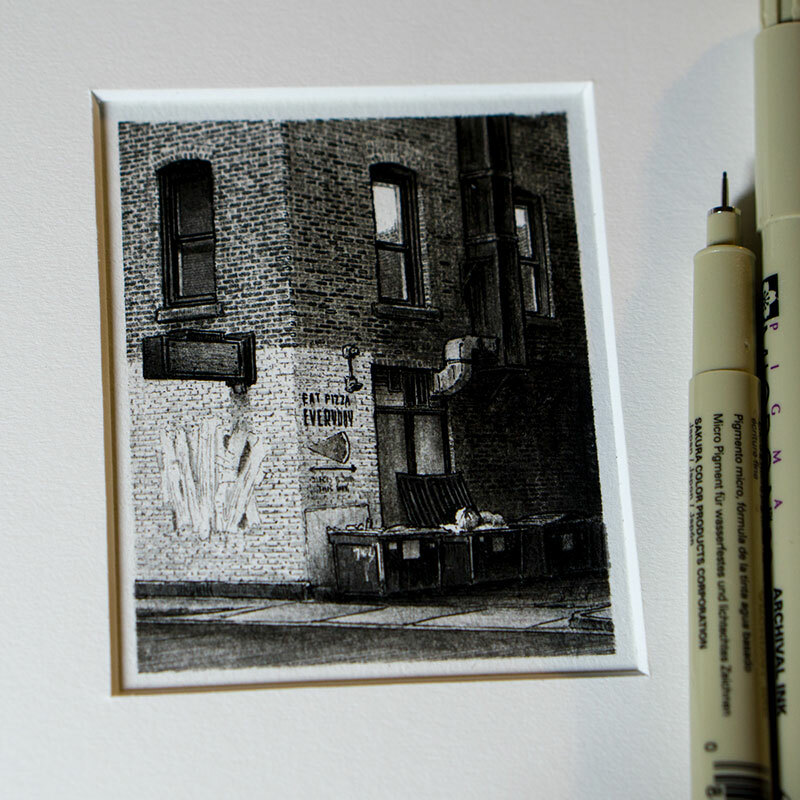 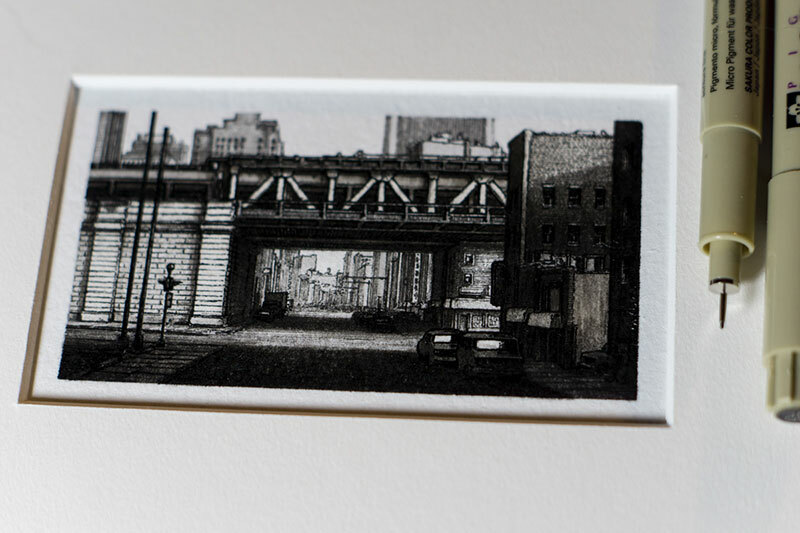 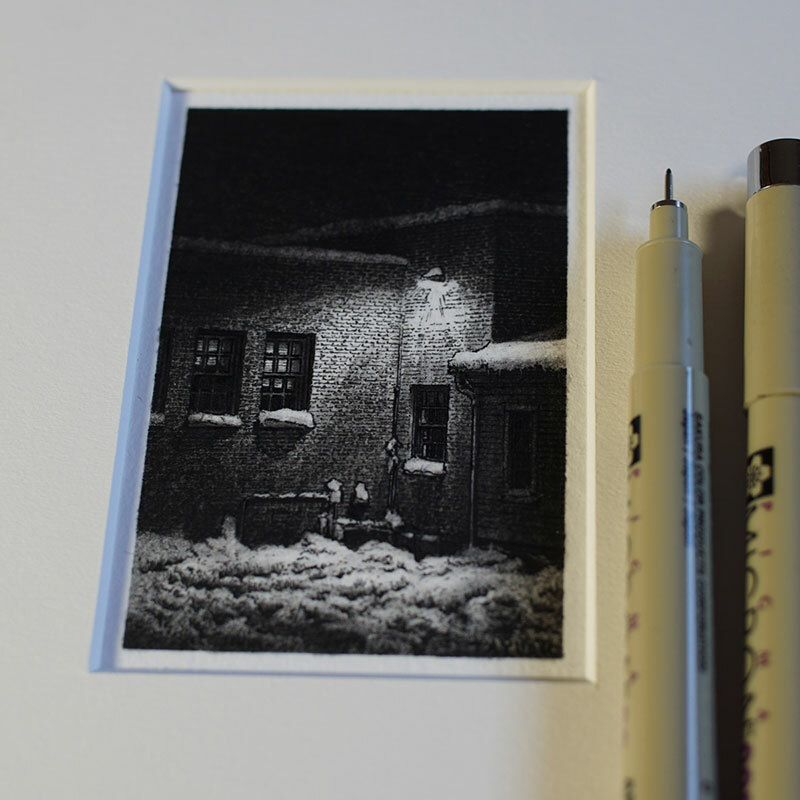 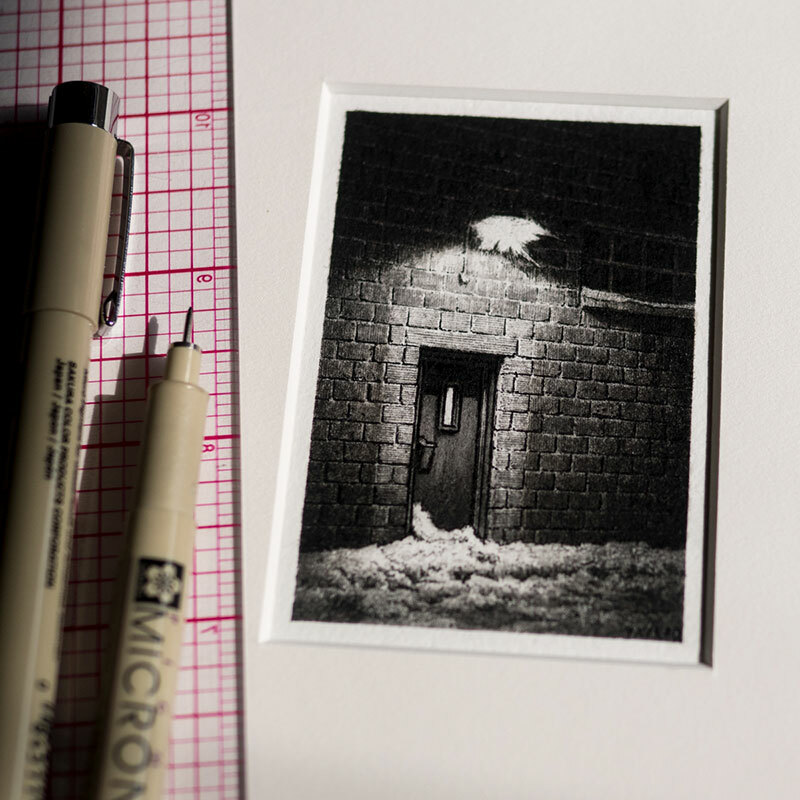 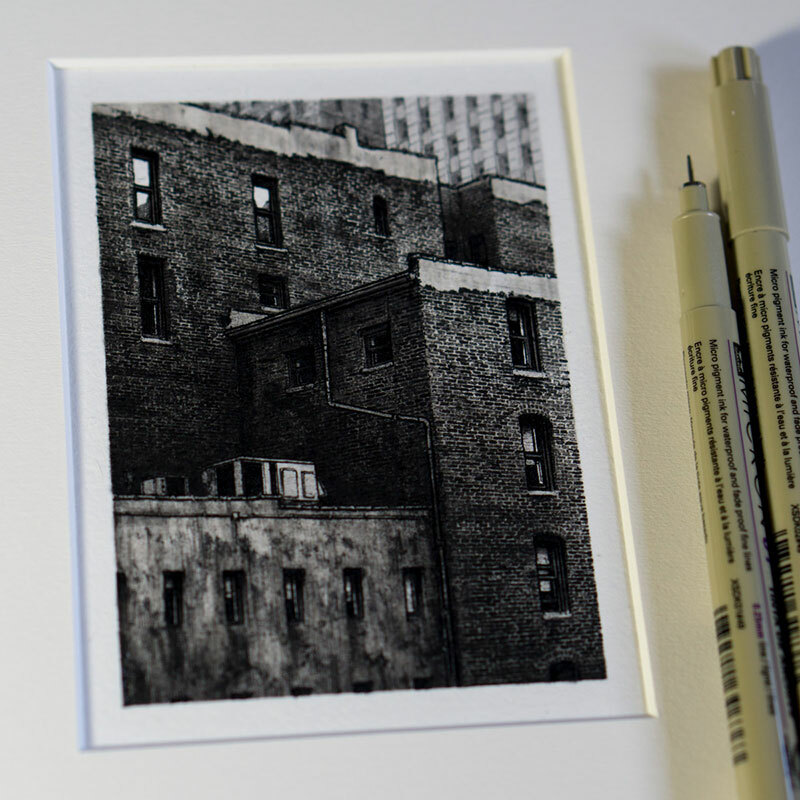 Small architectural ink drawings no larger than a pen by Grand Rapids-based artist Taylor Mazer. 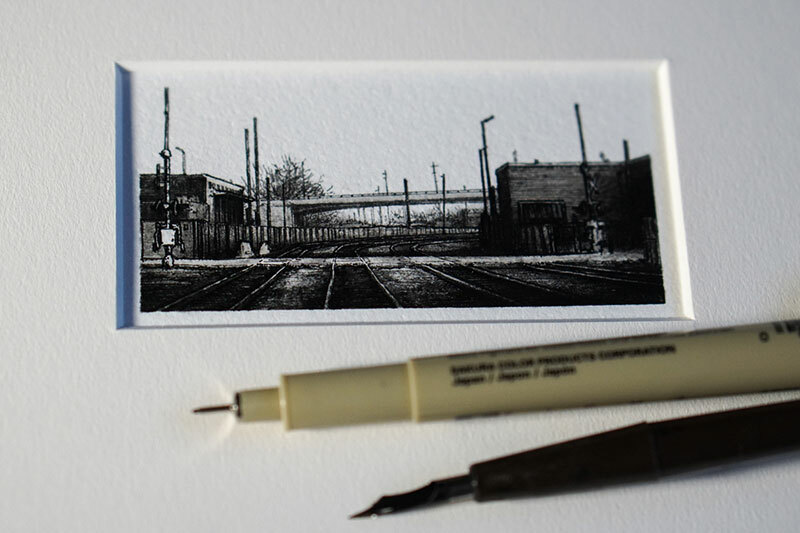 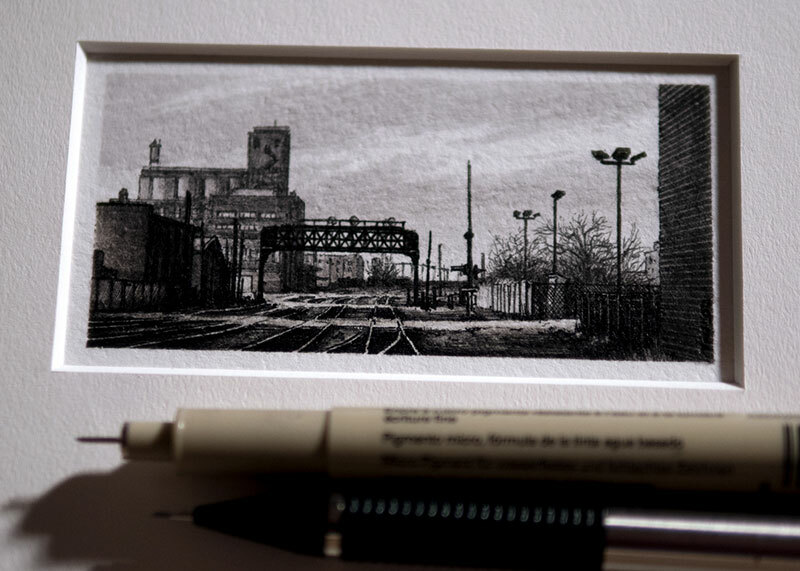 He renders minute details of buildings, alleyways, subway lines (as the video illustrates above) using a fine micron pen that forces you to look closer. 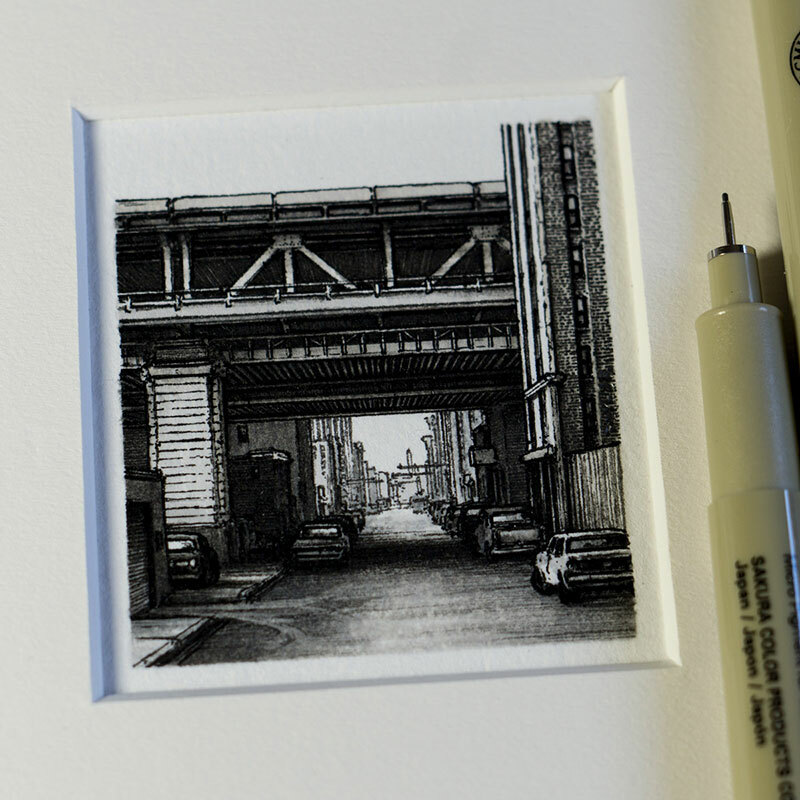 Most of the illustrations are cast in shadow adding depth to what would otherwise be mundane cityscapes devoid of people. 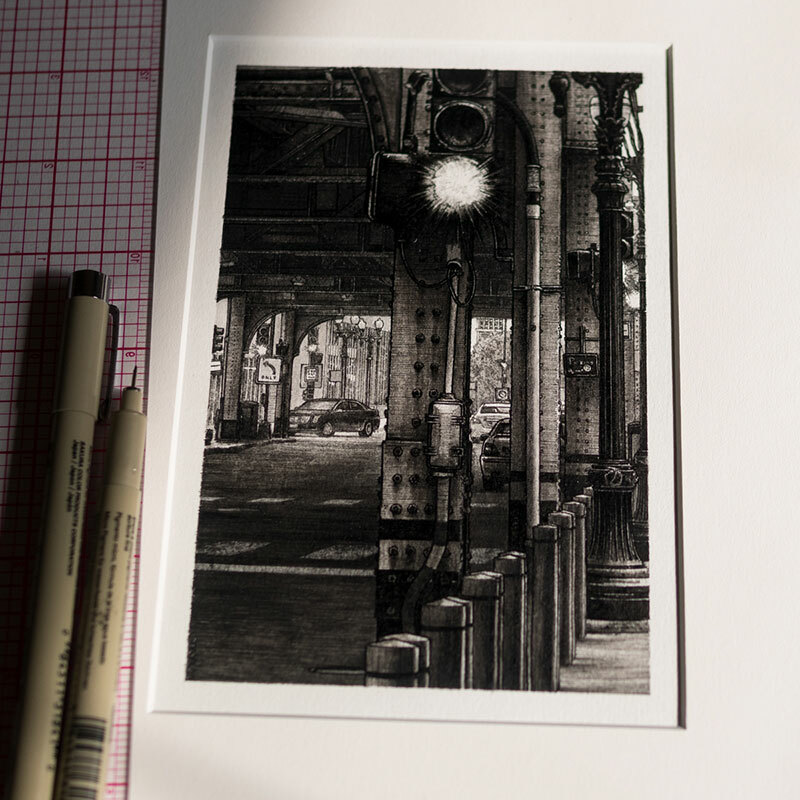 Taylor Mazer is a freelance artist/illustrator and currently works as an adjunct faculty at Kendall College of Art and Design in Grand Rapids, MI. 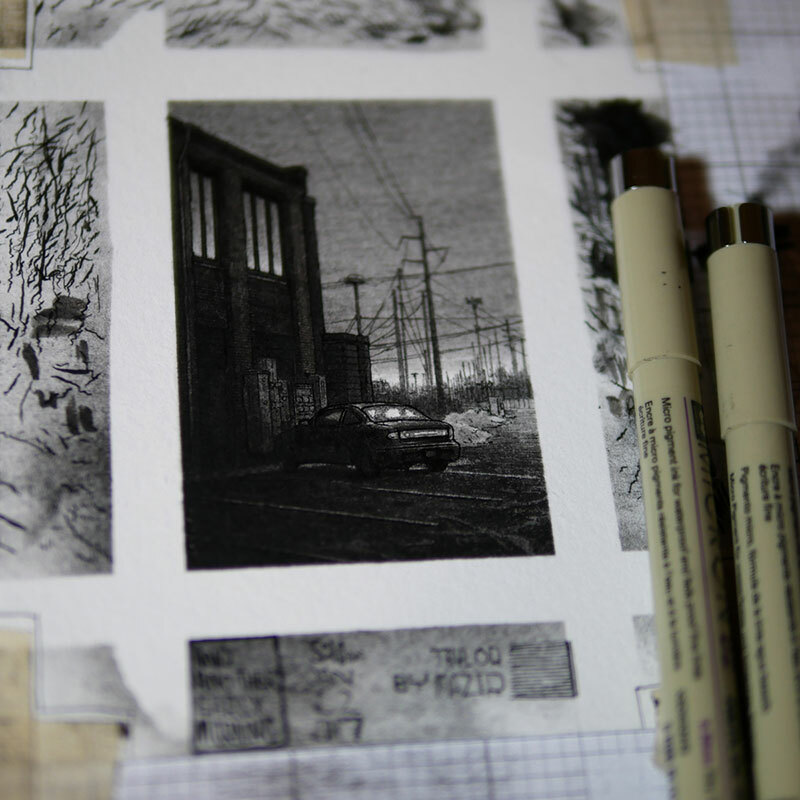 See more of Taylor Mazer's work on Behance or at his website. 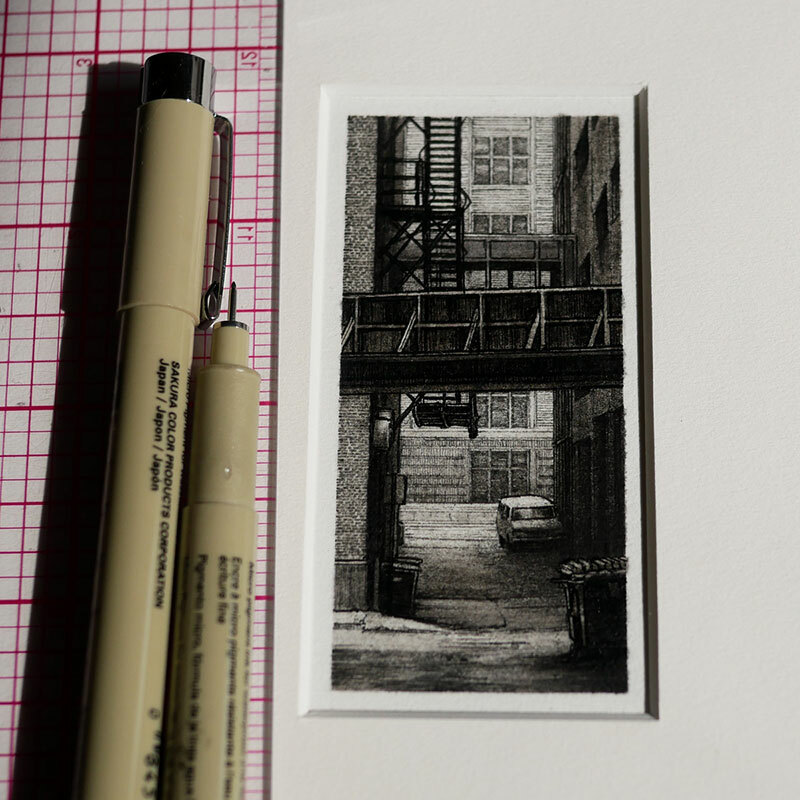 Small architectural ink drawings no larger than a pen by Grand Rapids-based artist Taylor Mazer.